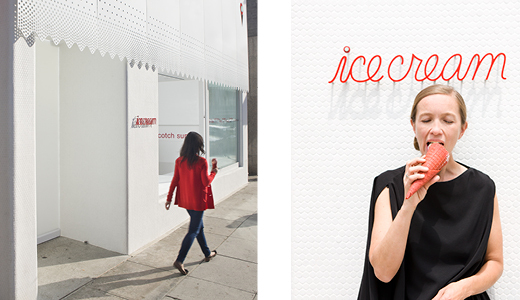 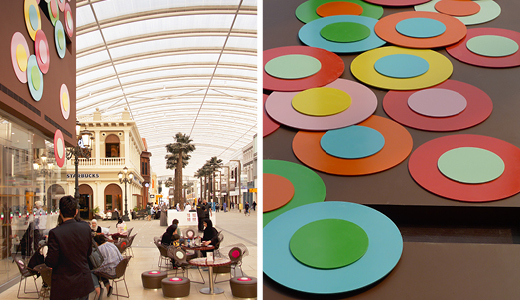 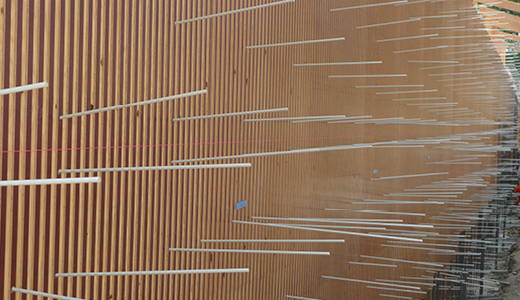 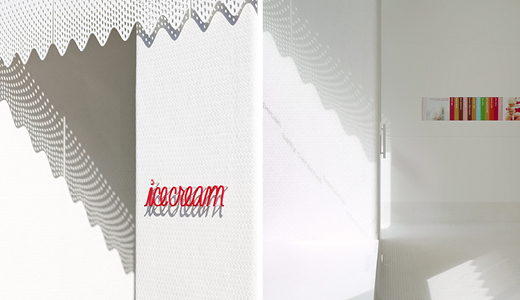 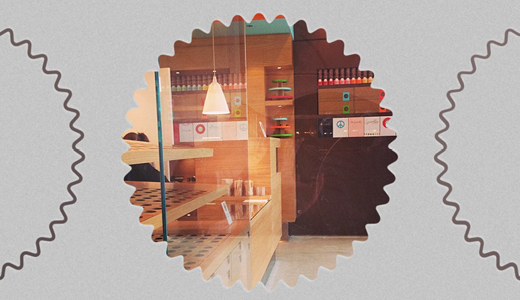 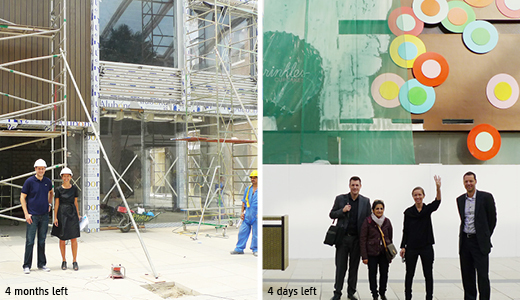 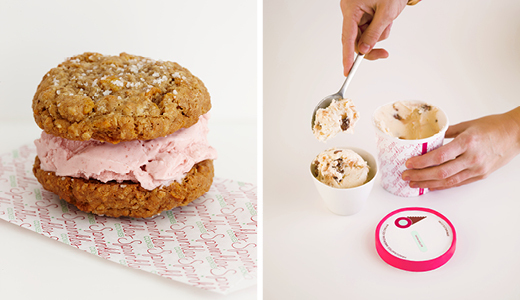 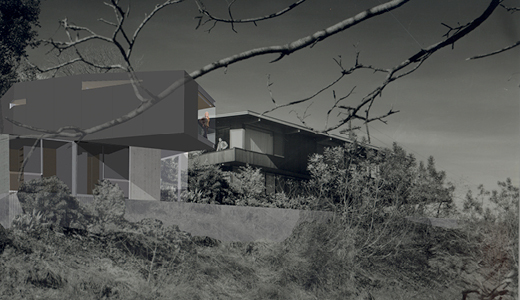 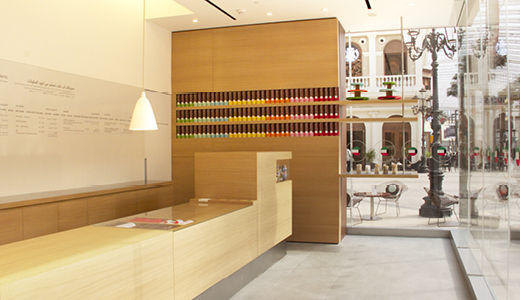 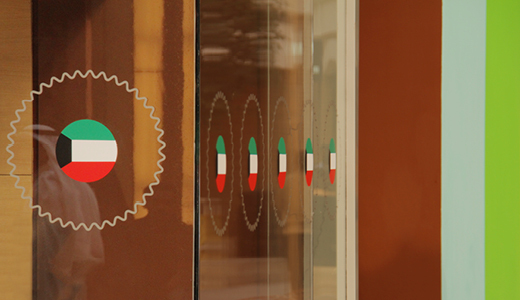 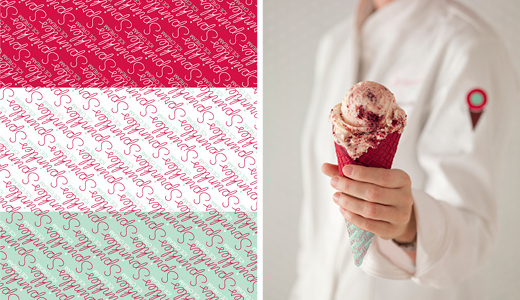 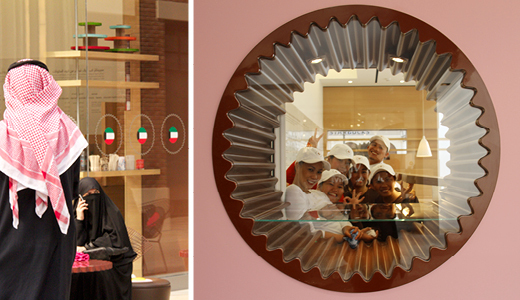 ‘Best of the Year’ in 2012 for a l m project and Sprinkles Ice Cream – Interior Design Magazine. 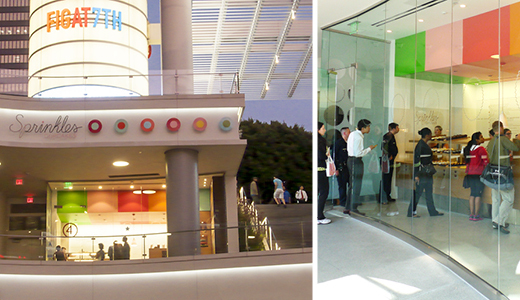 Los Angeles, CA, January 21, 2013. 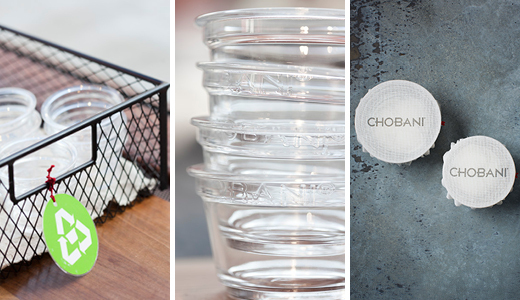 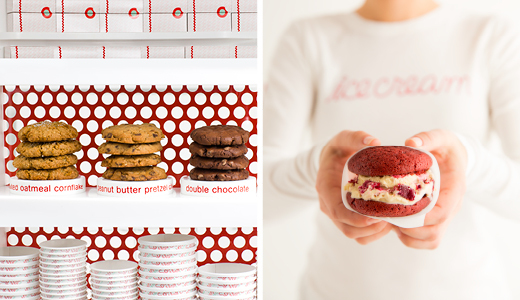 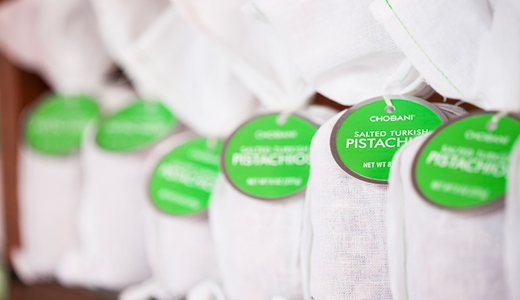 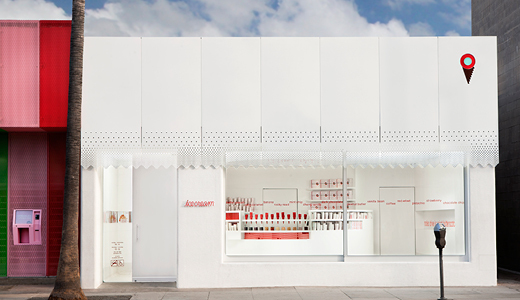 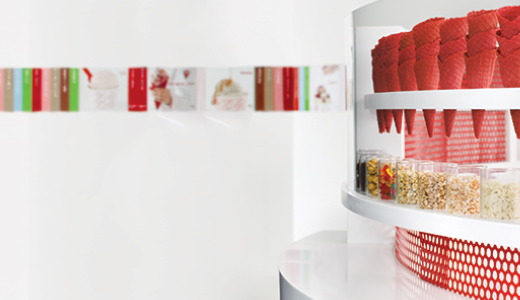 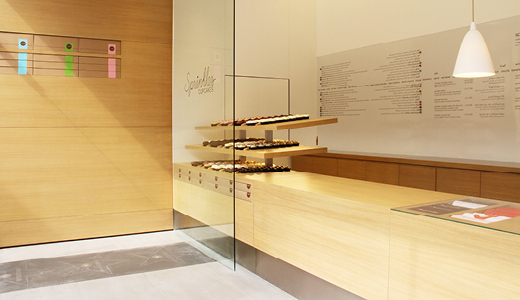 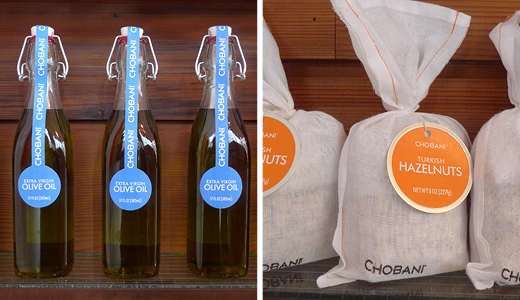 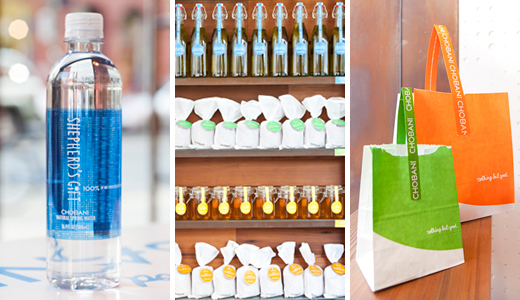 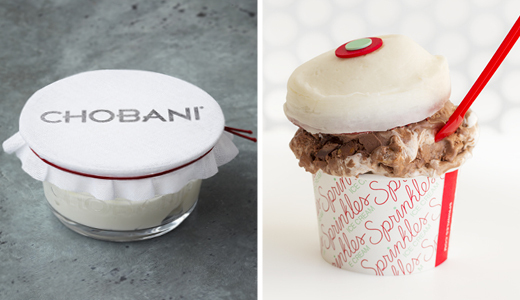 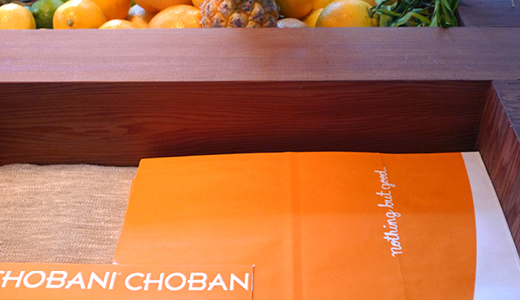 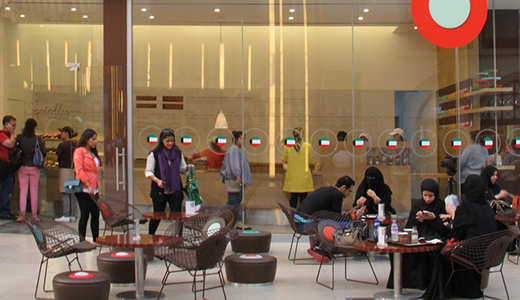 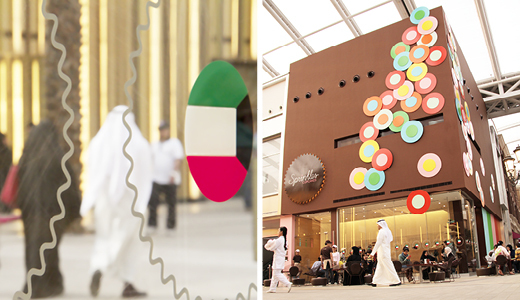 Sprinkles Cupcakes launches internationally, Avenues 3, Kuwait City, Kuwait, February 18, 2013.
a l m project designed line of packaging for Chobani SoHo and Sprinkles Ice Cream wins International Design Merit Award – How Magazine, March 2013. 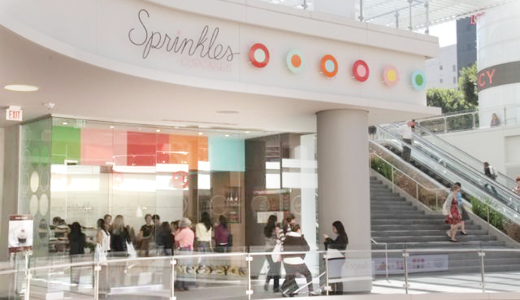 Sprinkles Cupcakes unveils its first shop inside a mall, Fig at 7th, Downtown Los Angeles, CA, March 6, 2013. 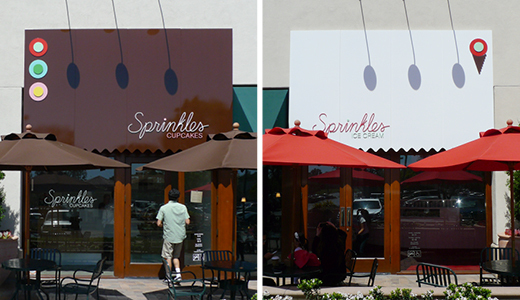 For its 7th anniversary at Corona del Mar Plaza, Sprinkles freshens up with a brand new chocolate shield. 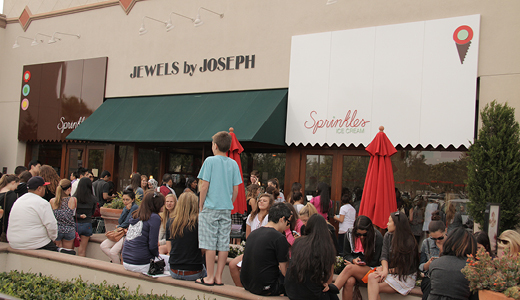 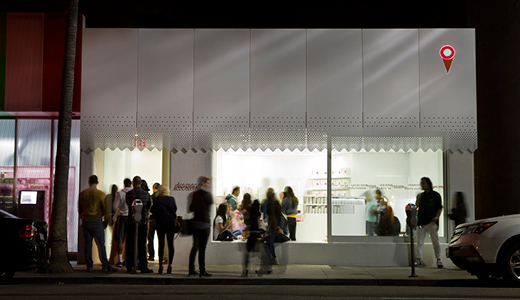 Next door, Sprinkles Ice Cream launches its second venue, Corona Del Mar Plaza, Newport Beach, CA, April 3, 2013. 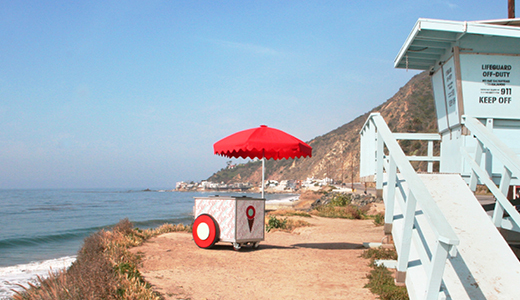 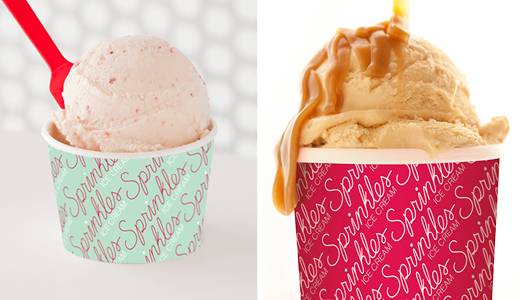 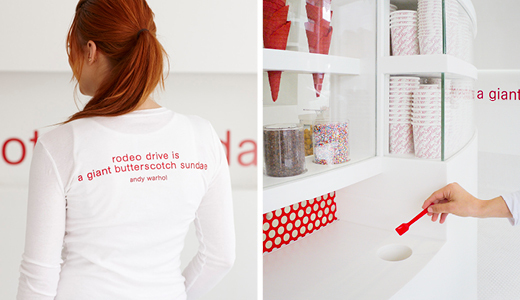 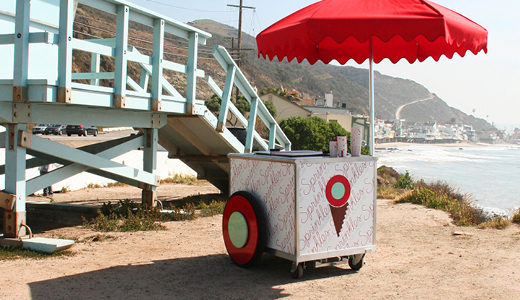 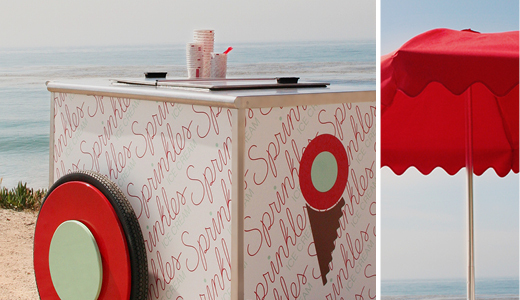 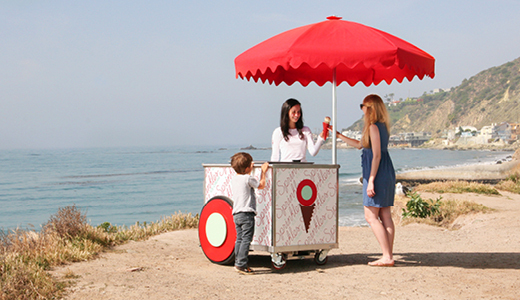 Sprinkles Ice Cream Cart debuts at Malibu Beach, CA, Spring 2013. 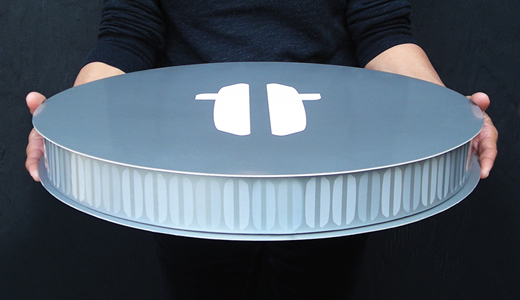 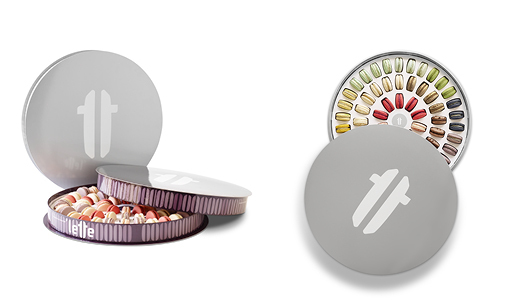 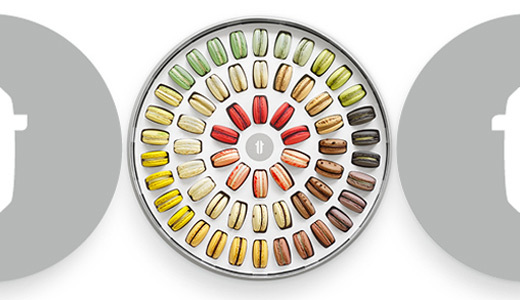 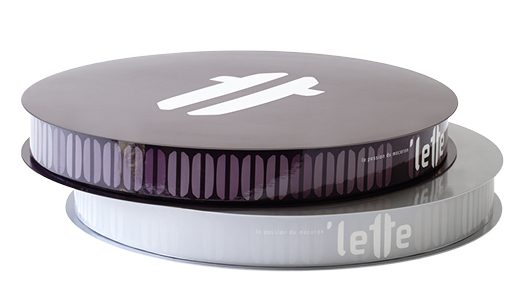 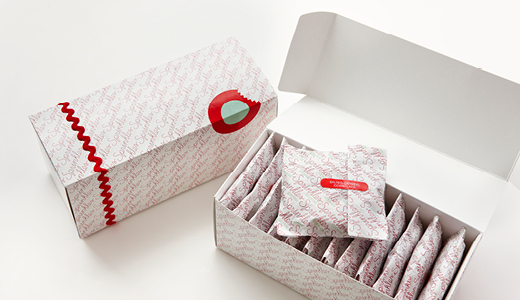 Box as grand gesture – `lette gift box à la ronde holds 60 macarons, launched in two colors, it wins a prestigious Dieline Package Design Award 2013.